Peter Hathaway Capstick, eight titles, Long Grass, Silent Places, Lonely Land, Wally Johnson, Maneaters - Sportsman's Legacy, Fine firearms, related books and sporting collectibles. Representing estates, collectors and nonprofit conservation organizations. 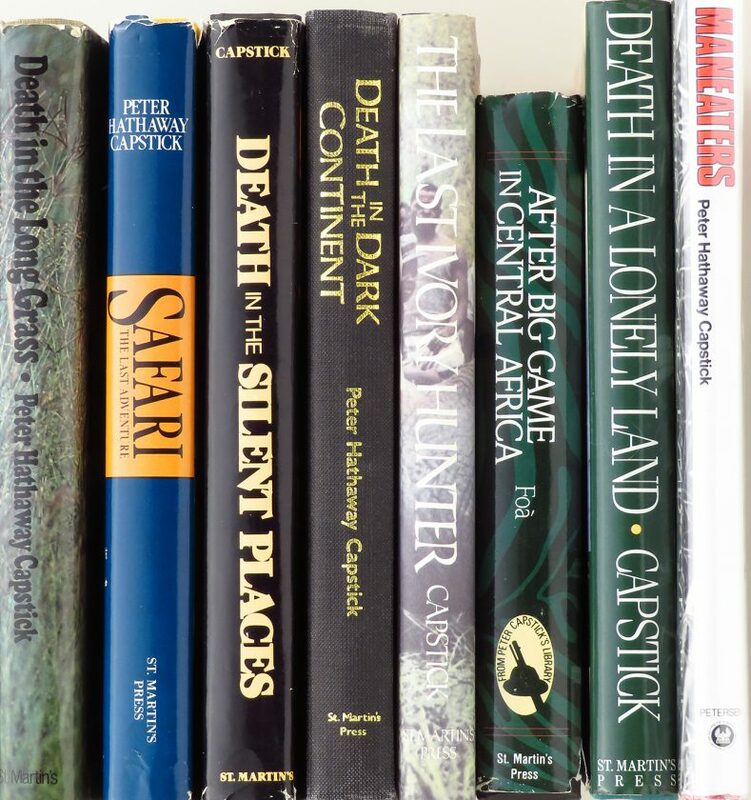 Lot of eight books from Peter Hathaway Capstick, all recounting tales of Africa and her dangerous game. 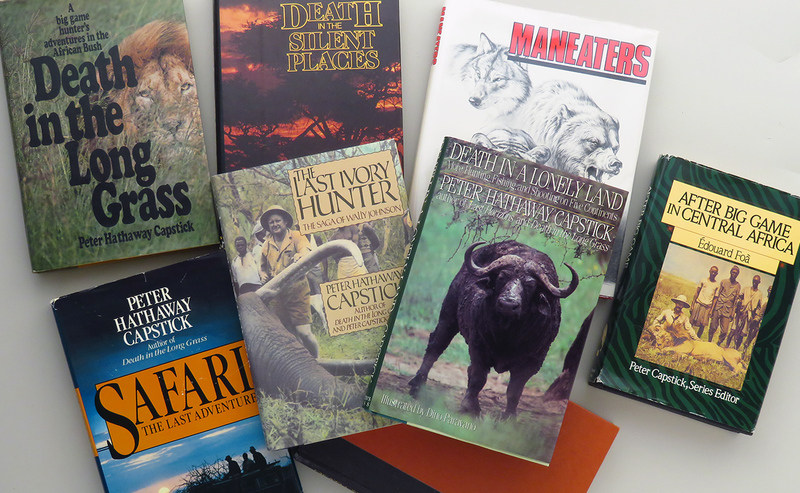 Maneaters, 1981 Petersen Publishing, appears new; Death in a Lonely Land, 1990 St. Martin’s, stated first, approaching new; After Big Game in Central Africa (by Edouard Foa, Capstick being Series Editor), 1989 St. Martin’s, stated first, excellent; The Last Ivory Hunter, the Saga of Wally Johnson*, 1988 St. Martin’s, approaching new; Death in the Dark Continent, 1983 St. Martin’s, stated first, excellent, absent DJ; Death in the Silent Places, 1981 St. Martin’s, stated first, excellent with good DJ and a past purchaser’s gift inscription; Safari – The Last Adventure, 1984 St. Martin’s, stated first, approaching new with good DJ. Death in the Long Grass, 1977 St. Martin’s, excellent, marking on inside back cover. The price is firm and the set will not be separated. $150 plus shipping. *Wally Johnson’s elephant rifle is currently offered by Sportsman’s Legacy.